Roger Stevens Jr. told CBS News he’s been a professional photographer for 21 years and always packs his camera with him. On the morning of March 11, he was extra grateful to have that camera. On top of a tree, he saw a squirrel defending its babies against an eagle. Squirrels in the area usually give birth around this time each year, Stevens said. He’s seen many squirrels and many eagles before, but never interacting like this. He didn’t know how well the photos came out until he went home. “I put them on the computer and I was like, ‘Oh my God, this is incredible!’ But I never thought they’d get the attention they’ve been getting,” Stevens said. The photographer posted several photos of the standoff on Facebook. “I couldn’t have made this up!! Gray Squirrel and Bald Eagle in staring match,” he wrote in one caption. Little did he know, his two subjects would gain widespread internet fame. 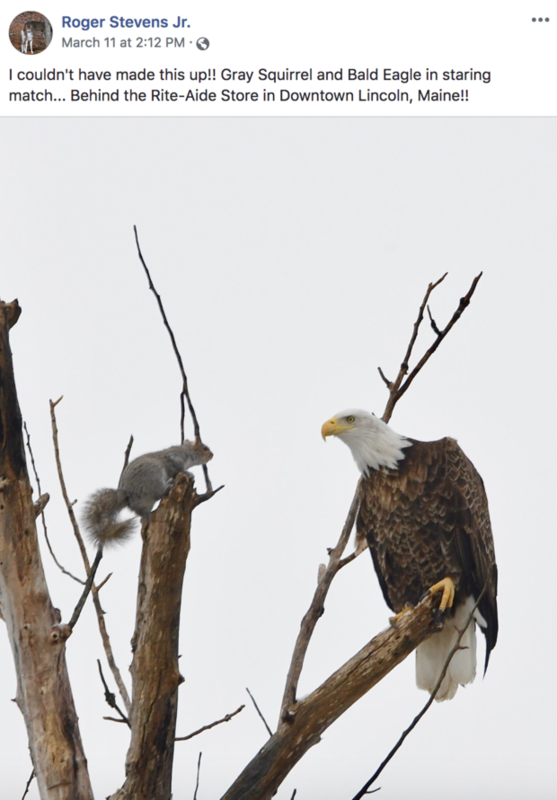 One photo of the squirrel and bald eagle standoff was shared over 11,000 times.